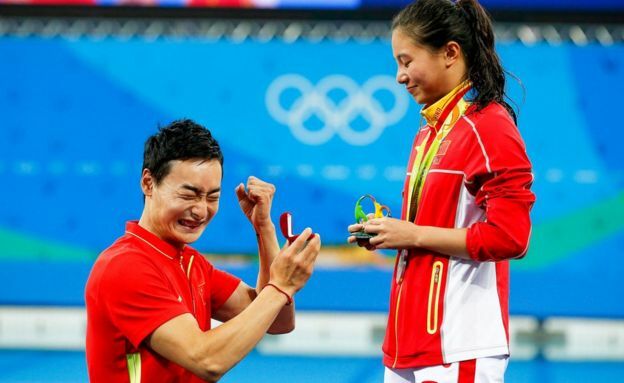 Chinese diver He Zi had just received a silver medal for the women's three-metre springboard at the Rio Olympics on Sunday. 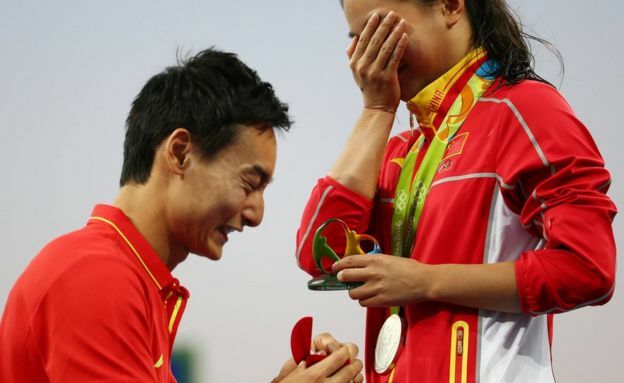 But she ended up with another prize when her boyfriend Qin Kai, in front of a global TV audience, went down on one knee. 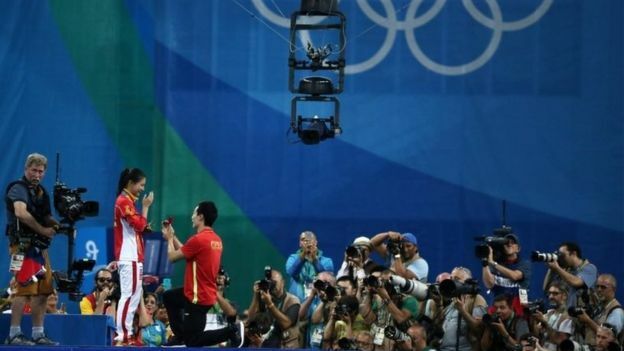 Luckily for Qin, who himself won bronze in the men's three-metre synchronised springboard last week, He Zi said yes. "We've been dating for six years, but I didn't expect him to propose today," she said. "He said a lot of things, made a lot of promises, but I think the thing that touched me the most is I think this is the guy I can trust for the rest of my life." 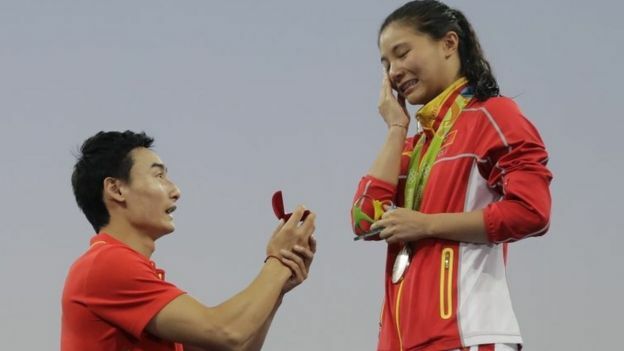 But some viewers have suggested that his shock proposal stole the limelight from her other precious metal, her Olympic medal.